Gold Glove Defense: With an above average defender manning every defensive position on the field, the Royals may very well have the best defense in MLB. The 2014 season saw the trio of Eric Hosmer, Salvador Perez and Alex Gordon win back to back Gold Gloves at their respective positions; for Alex Gordon it was his 4th in a row. In fact, if it wasn’t for J.J Hardy’s glove in Baltimore, the Royals could very well have had a fourth Gold Glover in the fold, as SS Alcides Escobar has been an exceptional defender these past few seasons. The Royals also have the glove (and wheels) of OF Jarrod Dyson waiting on the bench. 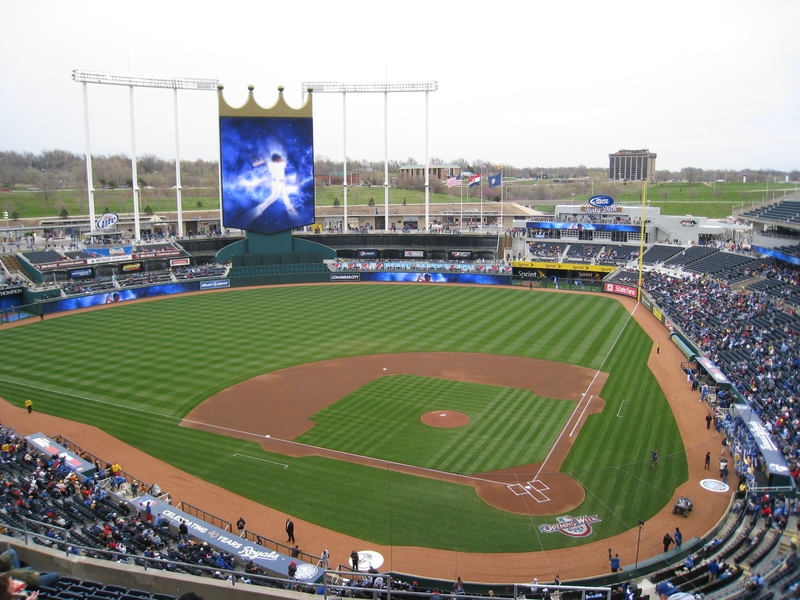 Dyson’s speed allows him to patrol the spacious outfield of Kauffman with relative ease. The Royals love being able to move Cain to RF to allow for Dyson’s glove and wheels to roam freely in CF. The K.C Bullpen: Not too sure if you were aware of this or not, but the Royals bullpen may have played a small role in their 2014 success. 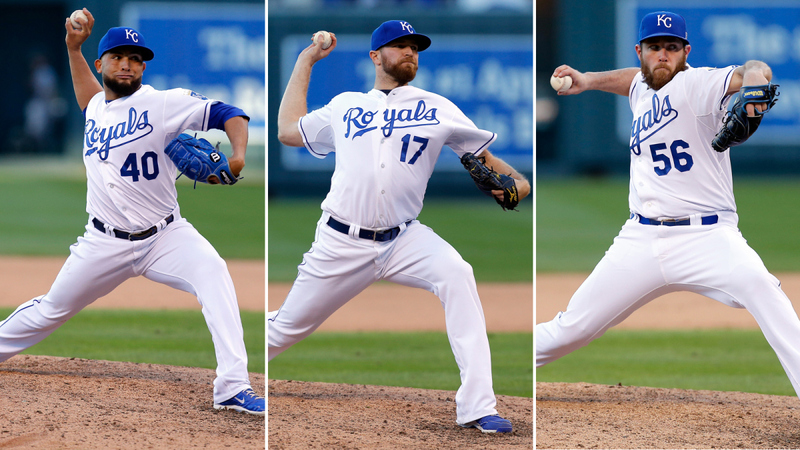 The power armed trio of closer, Greg Holland, and setup men, Wade Davis and Kelvin Herrera, combined for a 1.27 ERA over 204 innings pitched and helped the Royals to a MLB best 65-4 record when leading after six innings. Behind those three, the Royals have a duo of righties, Jason Frasor and Luke Hochevar, and a lefty, Brian Flynn, who was brought over from the Marlins and will replace the injured Tim Collins (Tommy John). Meanwhile, postseason revelation, Brandon Finnegan, is slated to open the season AAA Omaha, as he gets stretched out to start. The K.C bullpen is SO deep that there was talk in the offseason that the Royals were entertaining offers on Holland, who had just won the Mariano Rivera Award for being the best reliever in MLB. The low risk/high reward signing of SP Kris Medlen (2 yrs/$8.5 mil) which, if healthy, could be an ABSOLUTE steal of a deal. Kansas City BBQ over the other main types of BBQ (Texas, Memphis and North Carolina). Odds of Replicating 2014 Success: Anyone who predicted the run the Royals had in 2014 is either a prophet, or a liar. 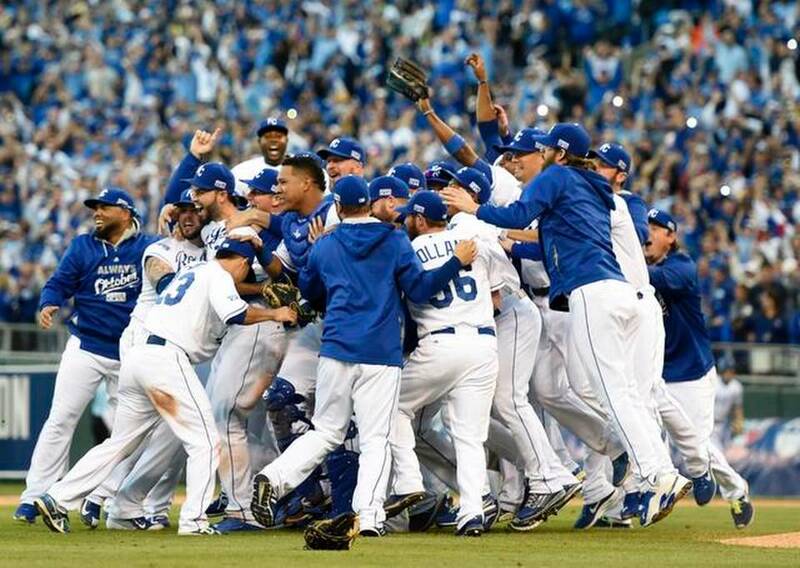 The Royals came out of (seemingly) nowhere last season to make both the playoffs and the World Series; ending their 29 year old playoff drought in the process. Unfortunately for the Royals, while other teams in the AL Central went out and added depth to their roster, the Royals were more concerned in replacing the pieces they had lost. Gone from the 2014 AL Pennant winners are the likes of SP “Mediocre Game” James Shields, OF Nori Aoki and DH Billy “Country Breakfast” Butler. Replacing them will be a trio of free agent signed in the offseason: SP Edinson Volquez, DH Kendrys Morales and OF Alex Rios. Those additions, while decent replacements for the departed, are a slight downgrade and come with more question marks. 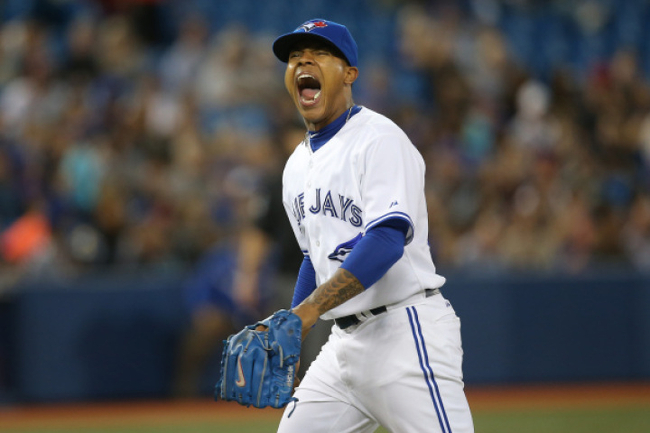 Can Volquez make the transition from NL to AL? 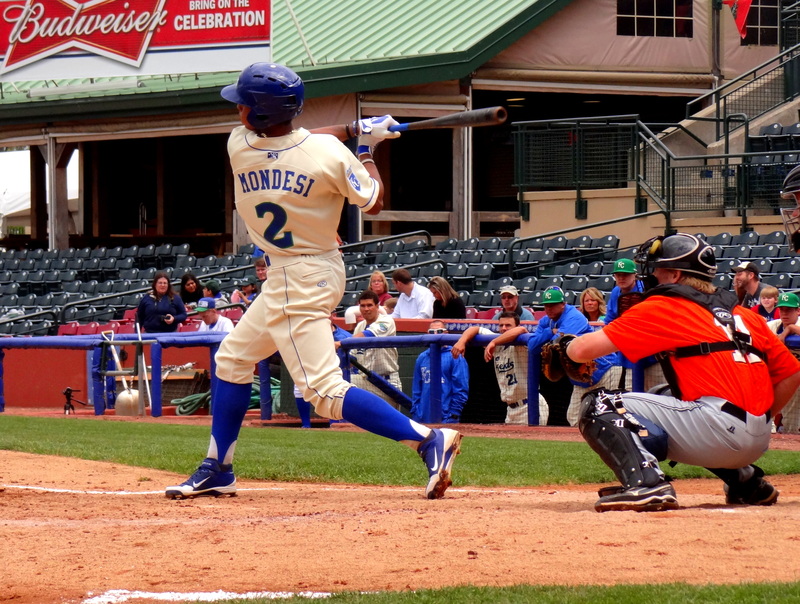 How many at bats will the oft-injured Morales get? 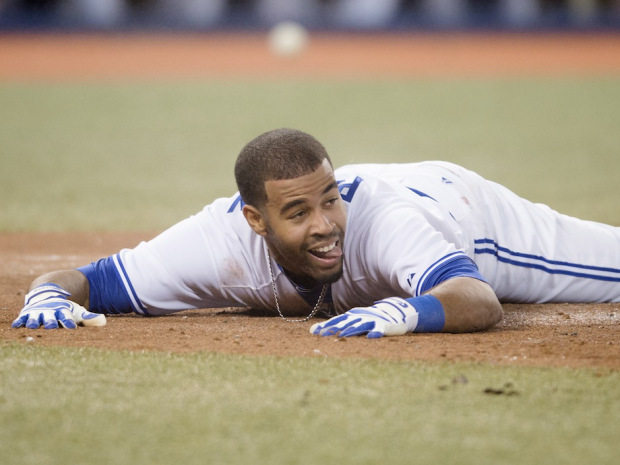 And, which Alex Rios did the Royals get? The biggest issue for the Royals though this season will be just competing in, what could be, a very tough AL Central. Not a whole lot of power in the lineup. Additions of Alex Rios and Kendrys Morales won’t be huge difference makers in a lineup that hit an MLB low 95 HR in 2014. Lack of catching depth (Erik Kratz and Francisco Pena) could result in an eventual breakdown of Sal Perez. Ability to draw walks – lead the MLB in fewest walks (380) in 2014. Waiting for Mike Moustakas to (ever) have a breakout season. 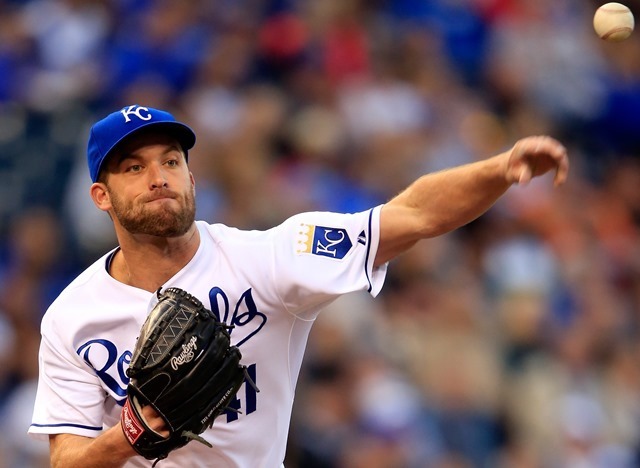 Player to Watch: SP Danny Duffy. 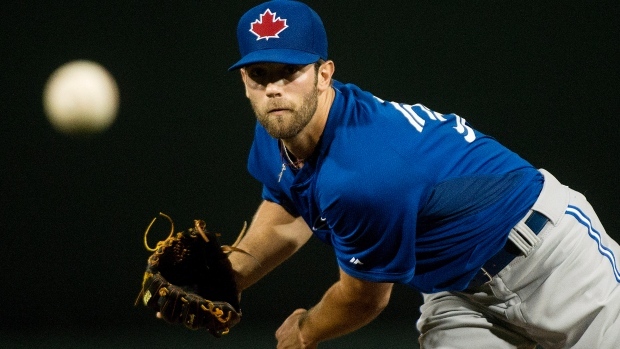 The Royals have been waiting for Duffy to enjoy a breakthrough season since he made 20 starts for them in 2011. Unfortunately for Duffy and the Royals, the left hander has been plagued with durability issues. He was sidetracked by Tommy John surgery in 2012 and struggled with oblique and shoulder injuries down the stretch last season. 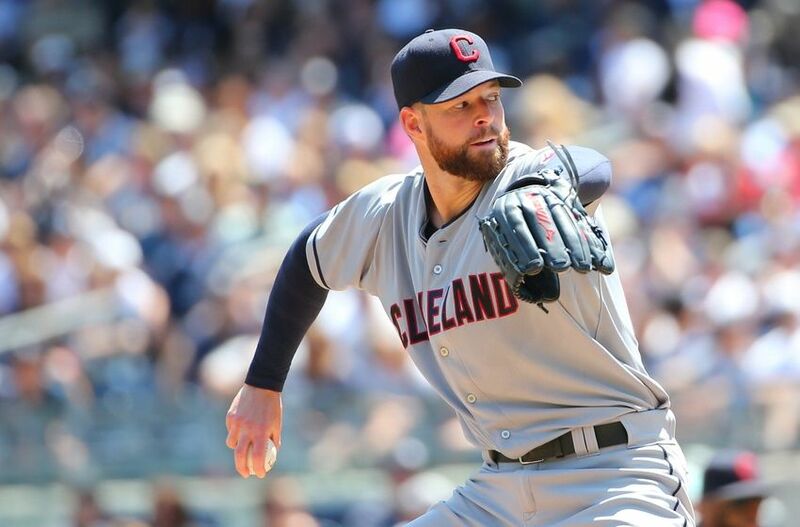 If he remains healthy though, you can expect Duffy to build on an impressive 2014 that saw him make 25 starts, post a 9-12 record with a 2.53 ERA and strikeout 113 batters over 149.1 innings. A double digit win total is definitely in the cards for 2015, especially with the Royals looking to increase his workload to the 180-200 inning mark. 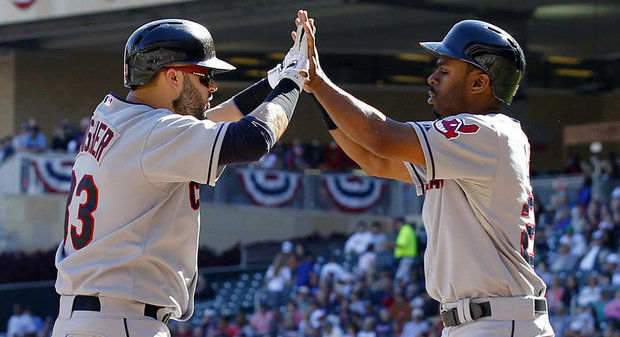 2014 Finish: 90-72 · 1st AL Central. The Man They Call Miggy: What is not to like about a guy who plays in 159 games, hits for a .313 average with 25 HR and 109 RBI, and is considered to have an “off” year? Even despite getting off to a slow start and being hobbled by an ankle injury, Miguel Cabrera enjoyed his 11th straight season driving in 100+ RBI. Entering his 32nd year, Cabrera is still one of the top players in the game today and with his move to back to 1B last season, and ability to DH, he should continue to play at a high level for the foreseeable future. And that is great news for the Tigers, who will need Cabrera to continue his MVP style of play if they have any hope of holding off the Indians and White Sox for the AL Central title. Not to mention they’ll need/want him to stay healthy and productive as they are paying him a small fortune ($240 million) over the next eight seasons. Best front office in the game: Owner Mike Illitch and GM Dave Dombrowski. Manager Brad Ausmus’ 90 win rookie campaign. Anibal Sanchez rebounding from a subpar 2014 season. Potential DP combo of Jose Iglesias and Ian Kinsler. 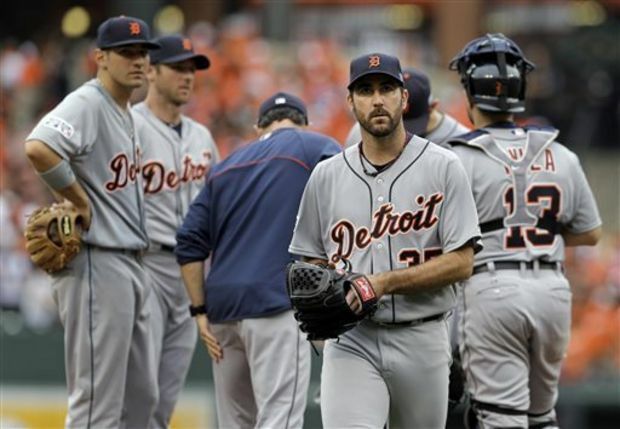 Verlander was also the American League leader in Earned Runs in 2014; finishing 2nd behind A.J Burnett for the overall MLB lead. So what is the cause for this sudden drop off? Could it be “dead arm” (which is, hands down the most awesome, old timey name for a legitimate medical condition) aka arm fatigue? That is a pretty plausible scenario, especially given that Verlander has thrown at least 200 innings in every season since 2007. Perhaps it could be attributed to the core-muscle surgery he underwent before the 2014 season. 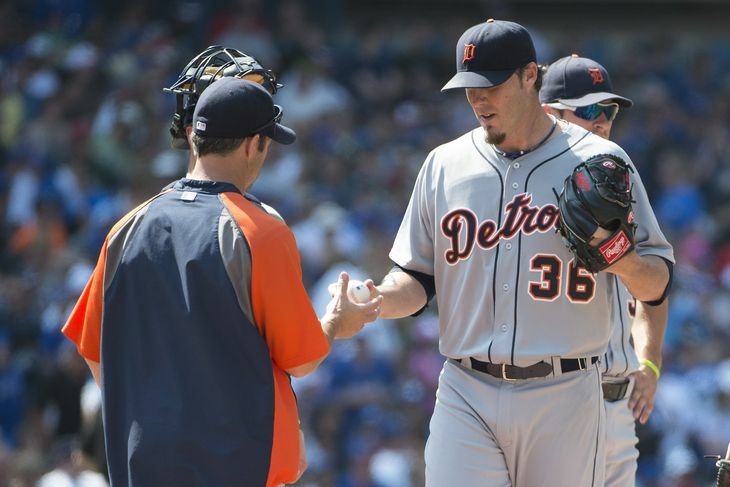 The surgery might not be the culprit when it comes to the diminishing velocity, but it could be the reason why Verlander has started to experience arm issues. 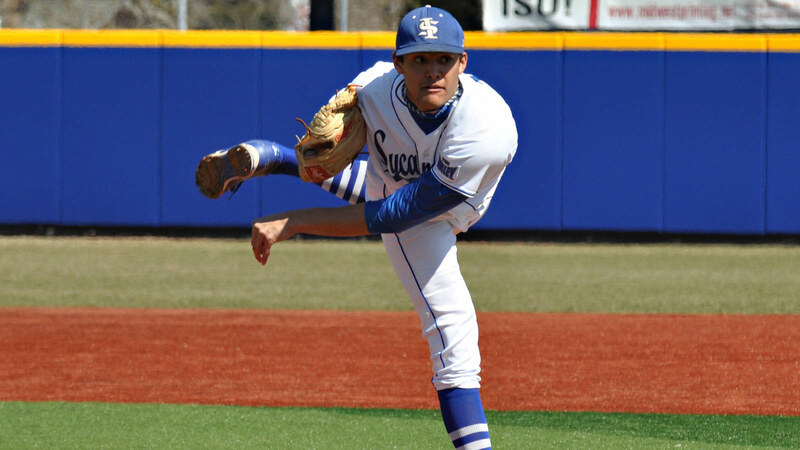 If he was unable to use his proper pitching mechanics and drive from his core and legs, that could have forced him to alter his mechanics and put more stress on his shoulder/arm. It could also be the reason why he was unable to locate and have solid command of his secondary pitches (curveball and slider). A Less Than Watertight Bullpen: In the past four seasons, the ERA of the Tigers bullpen has had them ranked 27th, 24th, 18th and 25th respectively in the entire MLB. 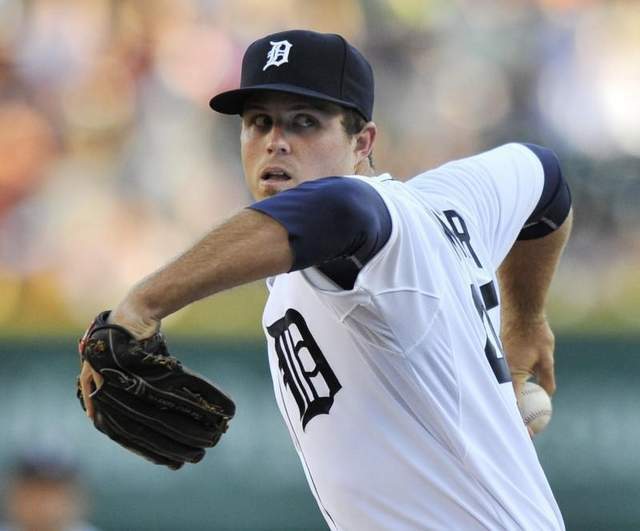 The bullpen was one of the key contributors to the Tigers being bounced from the playoffs by the Orioles in 2014. What’s astonishing is that while GM Dave Dombrowski made the moves to replace departed starting pitchers Max Scherzer and Rick Porcello, he neglected to address his bullpen in any way. In fact, it is almost exactly the same bullpen returning that was to blame for that dismal 2014 campaign. 40 year old, Joe Nathan, returns as the incumbent closer, a year removed from saving 35 games while posting a 4.81 ERA. 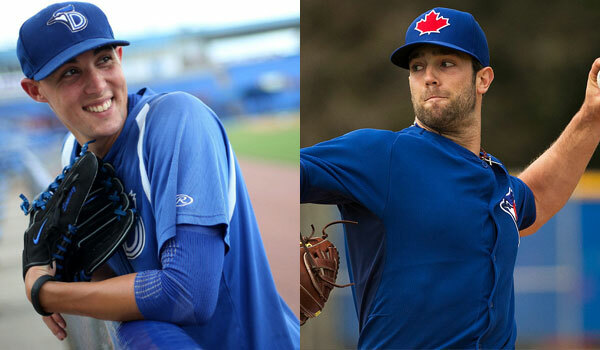 Behind Nathan, the Tigers will have a pair of experienced setup men in Joakim Soria and Joba Chamberlain. Soria, who was acquired from the Rangers at last season’s trade deadline, has experience closing games and could replace Nathan if he falters. Even though they didn’t add anyone in the offseason, the Tigers bullpen may get a big mid-season upgrade if and when RHP Bruce Rondon returns from Tommy John Surgery. 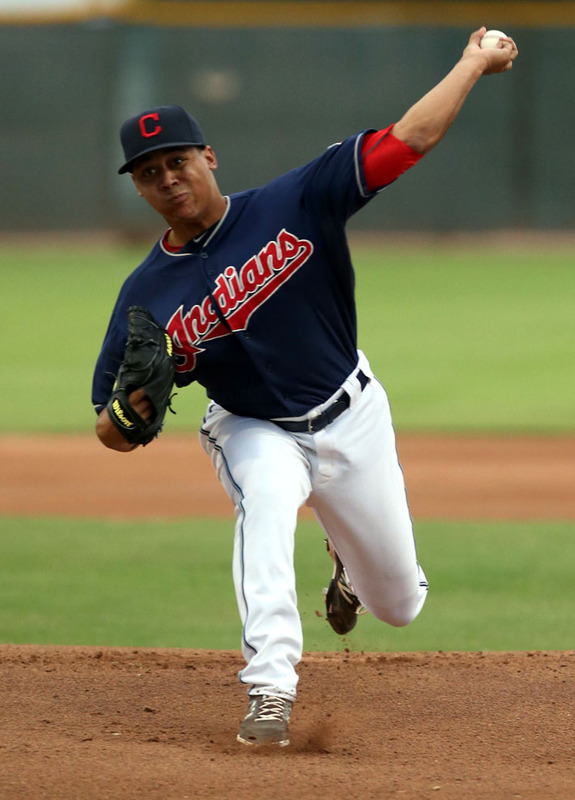 Rondon, who was viewed as a future closer, struggled in his first MLB performance in 2013 before missing all of last year following Tommy John surgery. The Tigers will take any kind of upgrade they can get and a healthy Rondon would be an immediate upgrade to that bullpen. V-Mart’s knees: torn meniscus during offseason workouts could force him to miss Opening Day. 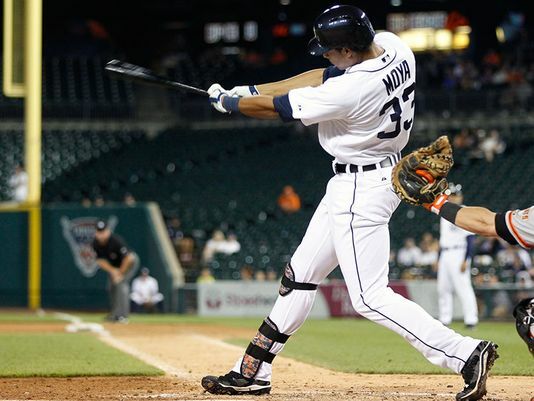 Bigger concern for Tigers should be that it’s same knee that forced him to miss all of 2012. Attempting to replace Max Scherzer’s and Rick Porcello’s outputs with the likes of Alfredo Simon and Shane Greene. Alex Avila’s long term health: the catcher suffered upwards of four concussions in 2014. That collective sick feeling that I and every Blue Jays fan will get if Anthony Gose somehow manages to put it all together. 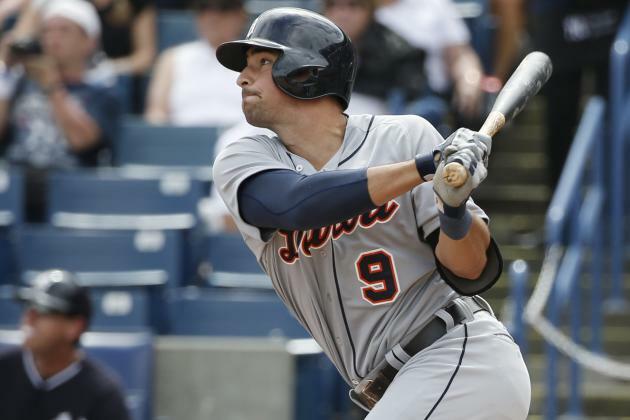 Player to Watch: 3B Nick Castellanos. Playing in his first full MLB season in 2014, Nick Castellanos enjoyed the highs and lows of life in the big leagues. Offensively he had a pretty decent season at the plate, hitting .259/11/66 in 533 AB. However, his defensive game left something to be desired, as he ranked near the bottom of every defensive metric. The reason for him being a defensive liability could be because he has bounced around between multiple positions since being drafted. 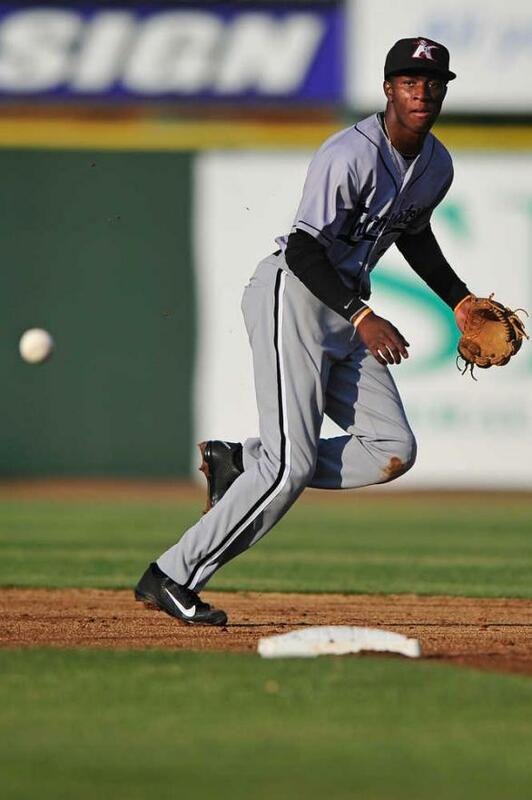 Originally drafted as a shortstop by the Tigers in the supplemental first round (44th overall) back in 2010, Castellanos was first asked to move to 3B so his bat would not be blocked by Jhonny Peralta. 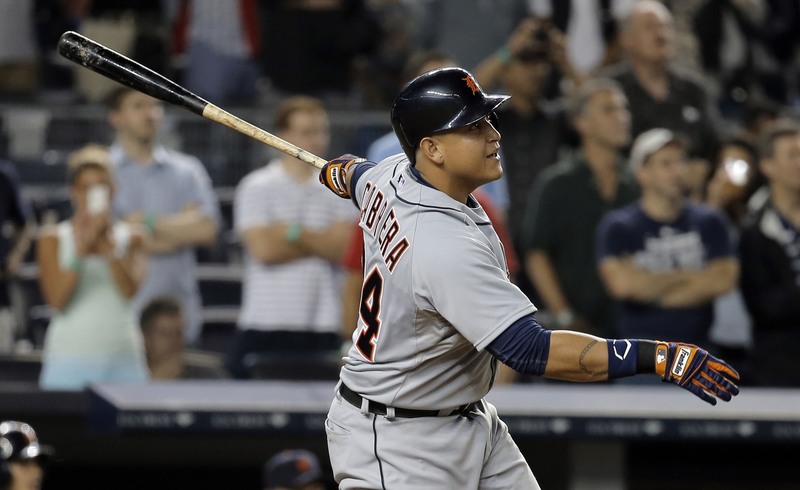 However, when the Tigers signed Prince Fielder to play 1B, Castellanos path to the majors became blocked by Miguel Cabrera, whom had moved across the diamond to accommodate Fielder. With Cabrera at 3B, Castellanos was then asked to ply his trade as a LF; which would only last a season. Following the 2013 season, Fielder was whipped out of the Motor City, Cabrera moved back to 1B, and Castellanos was asked (again) to switch back to 3B. While the Tigers have always known that Castellanos can hit, they’ll need him to make bigger strides defensively. Perhaps now that he has an established position, he’ll be able to fine tune his defensive skills. On the offensive side of things, it wouldn’t be outlandish to believe a 20 HR/75 RBI campaign is possible. Final Prediction: 2nd AL Central. Jose Abreu: Remember when there was talk that the White Sox may have made a mistake by inking Cuban slugger, Jose Abreu, to a 6 yr/$68 million dollar deal without him never having faced an MLB pitcher? That talk was quickly silenced as Abreu smashed 10 HR and drove in 32 RBI, all before the calendar flipped to May. What Abreu did, as a rookie nonetheless, in 2014 was (nearly) historical. By the All Star Break, Abreu was on pace to break both Mark McGwire’s Single Season HR total for a rookie (49) and Ted Williams single season RBI total by a rookie (145). Unfortunately for the record books, Abreu’s power dropped off after the All Star Break (mustered only 6 HR for remainder of season) and he finished the season with a tremendous stat line of .317/36/107 in 556 AB over 145 games. In fact, in the entire history of baseball, only a dozen players have enjoyed a rookie season of 30+ HR and 100+ RBI. Part of the power drop off could be attributed to general wear and tear, as the MLB season being (almost) 40% longer than the Cuban Baseball season. To combat further wear and tear on Abreu, the White Sox picked up 1B Adam LaRoche in the offseason. The signing of LaRoche should allow for Abreu to see more time at DH, and help him refrain from suffering a late season power outage; something the White Sox will need to happen in order for them to battle for a playoff spot in a tough AL Central. 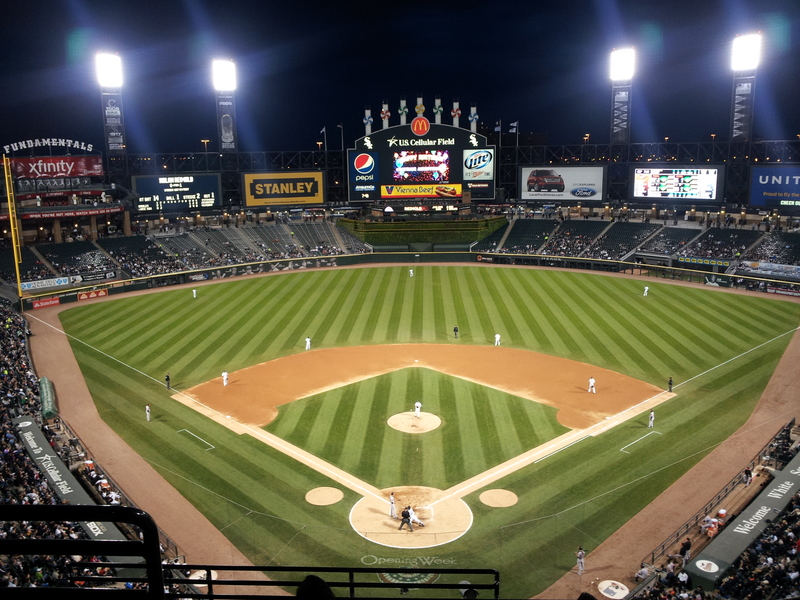 Flurry of Offseason Activity: While everyone in the baseball world was talking about AJ Preller and the moves the San Diego Padres were making, White Sox GM Rick Hahn was having himself quite the nice offseason too. 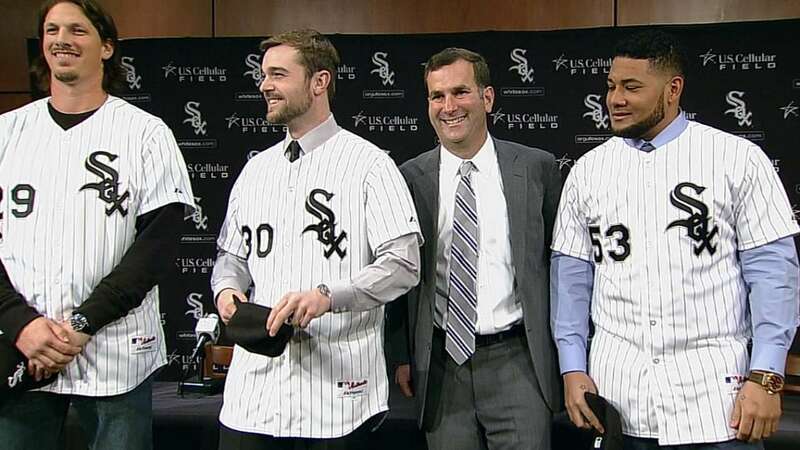 The White Sox signed three high profile free agents (Melky Cabrera, Adam LaRoche and David Robertson), one under the radar signing (Zack Duke) and one high profile trade (Jeff Samardzjia). Cabrera should fit nicely as the team’s two-hitter and help set the table for Jose Abreu, while LaRoche will offer protection in the lineup, and days off for the Cuban slugger. Robertson and Duke were brought in to help the White Sox bullpen refrain from losing another 32 games this season. Meanwhile, the acquisition of the Shark (Samardzjia) gives the Chi Sox a right hander to pitch between their dangerous duo of lefties (Chris Sale and Jose Quintana); perhaps giving the Pale Hose one of, if not the best, front end rotations in the American League. That’s a scary trio to have to run into IF they make it to October… and that is a big IF. Everything Adam Eaton does – legit leadoff hitter, fearless defender and now a bargain contract for the next 5 years (5yrs/$23.5 mil). Chris Sale being (perhaps) the 2nd best LHP in the game. 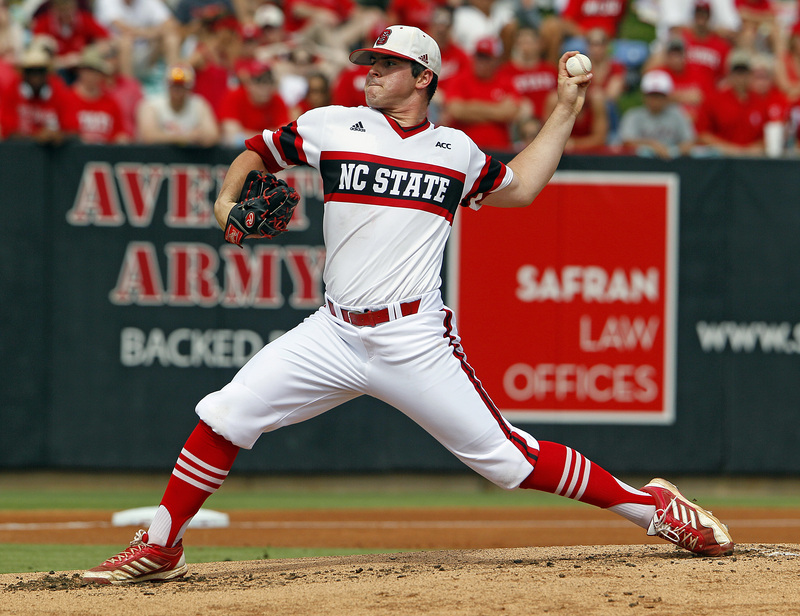 Potential for 2014 top pick, Carlos Rodon, to make an appearance in 2015. Avisail Garcia (FINALLY) having a breakout season! 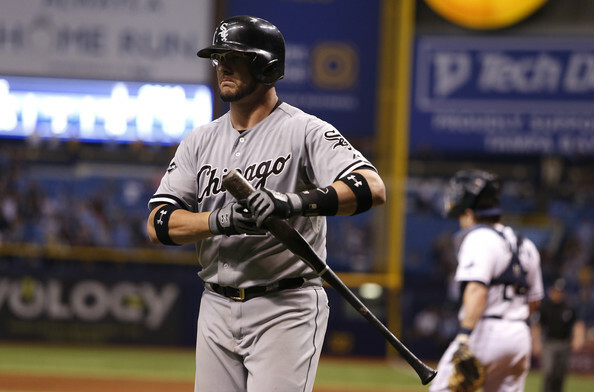 Black holes at 2B and C: For someone who was not afraid to open up the chequebook this offseason, it is rather odd that GM Rick Hahn failed to address the pressing need for an everyday 2B and an upgrade behind the plate. When the Sox drafted 2B Gordon Beckham out of the University of Georgia back in the 1st round of the 2008 MLB draft, they believed they had found their 2B of the future. Wrong. After playing parts of five (subpar) seasons in Chicago, Beckham was shipped to the Angels in 2014, before being brought back to Chicago on a 1 year deal in the offseason. Beckham will look to compete with other 2B candidates (Micah Johnson and Carlos Sanchez) for the Opening Day spot; although it looks like Micah Johnson has already grabbed that spot with a torrid Spring Training. As grim as the 2B outlook is, the catching one isn’t much better. Sure Tyler Flowers hit 15 HR and drove in 50 RBI, but he also struck out an incredible 149 times in 407 AB. The C battle will most likely come down to a coin flip between Flowers and the recently acquired, Geovany Soto; with 2014 backup, Adrian Nieto, being the odd man out. I would not be shocked to see either one of, if not both, these positions being addressed as the season wears on. Chris Sale’s ankle/foot injury – hopefully it doesn’t rob us of seeing one of the best in the game work his craft. The 4 and 5 spots in the starting rotation – some combo of John Danks, Hector Noesi and Erik Johnson will end up here, at least keeping the spot warm until Carlos Rodon is up. Potential power output from 3B (Conner Gillespie and Emilio Bonifacio). Jeff Samardzia getting paid to be an MLB ace in the offseason – he is a solid #2 at best. 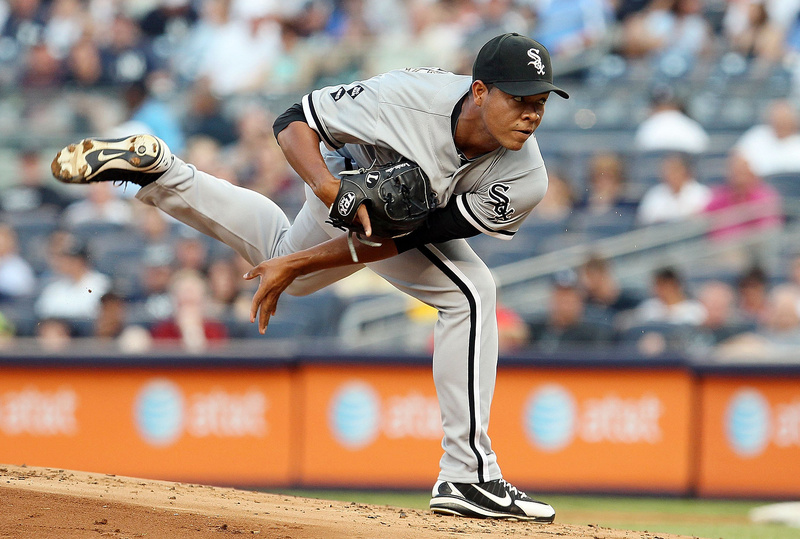 Player to Watch: SP Jose Quintana. Quintana has posted back to back seasons with 30 starts and 200 innings pitched, but he seems to get the short end of the stick when it comes to wins and losses. In his past two campaigns, Quintana has failed to reach double digits in wins, despite having above average numbers in ERA, WHIP and K/BB ratio. Most teams would be blessed to have a LHP with Quintana’s arsenal as their #2; the White Sox have him as their #3. With all the additions the White Sox made in the offseason, especially in solidifying a leaky bullpen, it is not hard to envision Quintana easily winning double digit contests for the first time in his career. In fact, I believe that Quintana could conceivably win 13-15 games… if everything falls into place. Honourable Mention: OF Avisail Garcia. 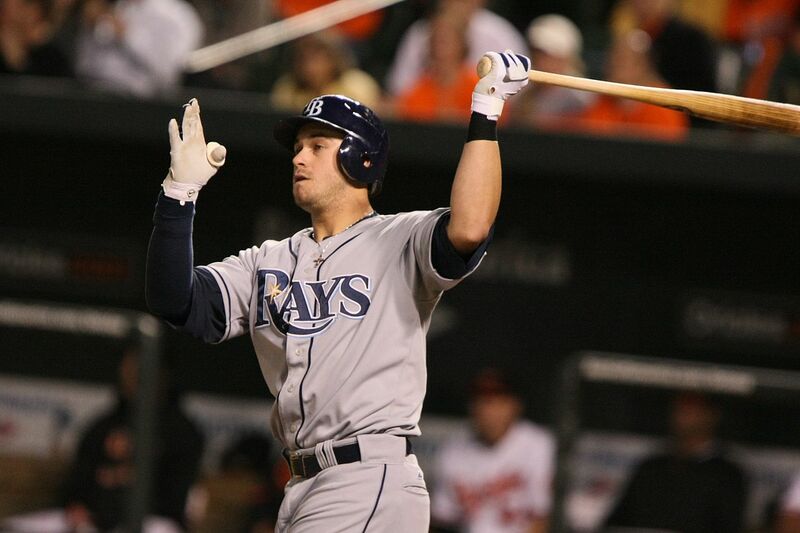 Evan Longoria: What’s not to love about Longo? The guy is arguably the best 3B in the game today and his defense is worth the price of admission alone. 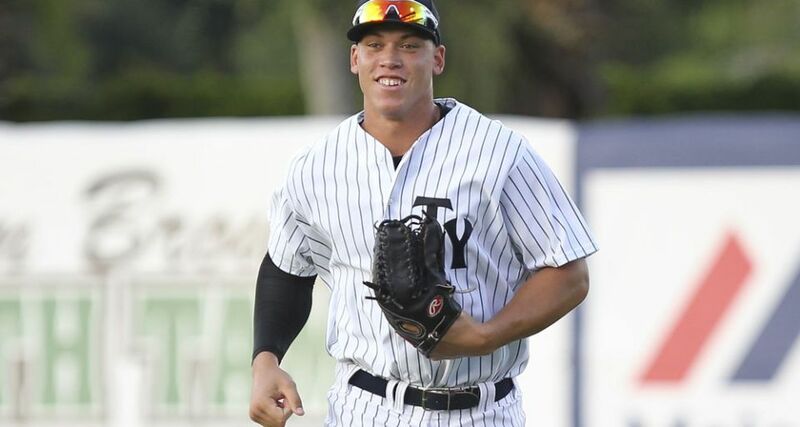 Even with his power numbers dropping last season, he still managed to hit 22 HR and drive in 91 runs, for a Tampa team that struggled to put up runs all season. The real impressive thing about Longo’s 2014 was the fact that he was able to avoid spending time on the DL and played on a career high 162 games. The Rays will need Longo in the everyday lineup as often as possible, as he may be one of the only Rays driving in runs this season. The only downside to being Longoria, is that his talent is (almost) wasted on the fans of Tampa Bay… you know the ones who flock to the Trop in droves. Here’s hoping that (when) the Rays relocate, they do so to a city with a thriving fan base that can FULLY APPRECIATE what a stud they have…. calling Montreal. Pitch to the Postseason: It wouldn’t be a season preview unless we discussed the depth of the Rays starting rotation. Even though they no longer have David Price and are missing Matt Moore until after the All Star break, this is still a rotation that could make some noise in the AL. The rotation is anchored by righties, Alex Cobb and Chris Archer, and is rounded out by a trio of (former) highly touted, high ceiling pitching prospects; Jake Odorizzi, Alex Colome and Drew Smyly. 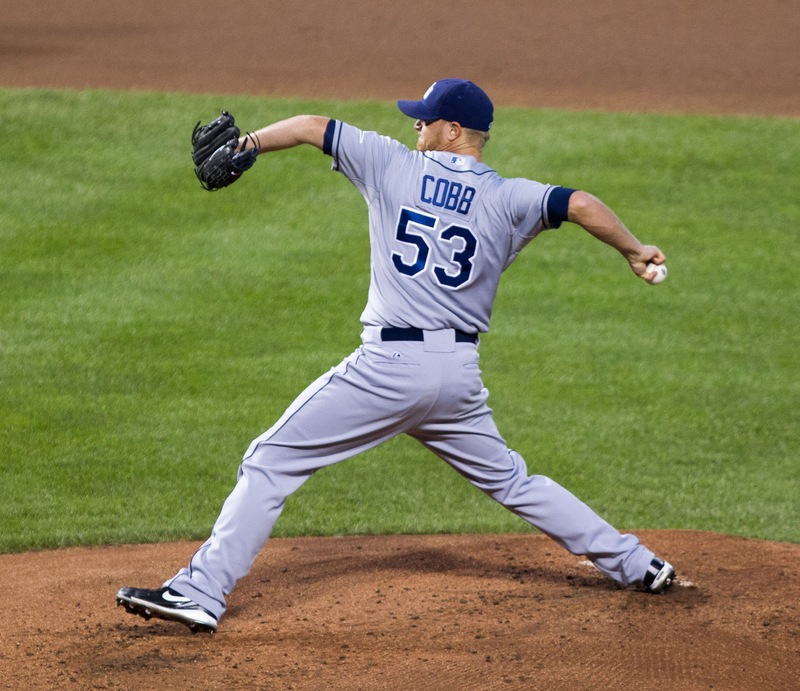 Cobb has been garnering a lot of preseason buzz about being a potential contender for the Cy Young, but he’ll have to manage to stay healthy and pitch 200+ innings in order for that to happen. Archer, on the other hand, might have the best stuff and highest ceiling of the entire rotation. Entering both his 27th year and 3rd full season, Archer is a prime candidate to have a breakout year. Both he and Cobb will be heavily relied upon, especially with a trio of unproven arms rounding out the back end of the rotation. If both Cobb and Archer can pitch to their potential, followed by a little help from the rest of the staff, then the Rays could get to the post season on the strength of their pitching staff alone. Cash is King: Hard to say that it won’t be strange to look into the Rays dugout and not see the bespectacled face of Joe Maddon. 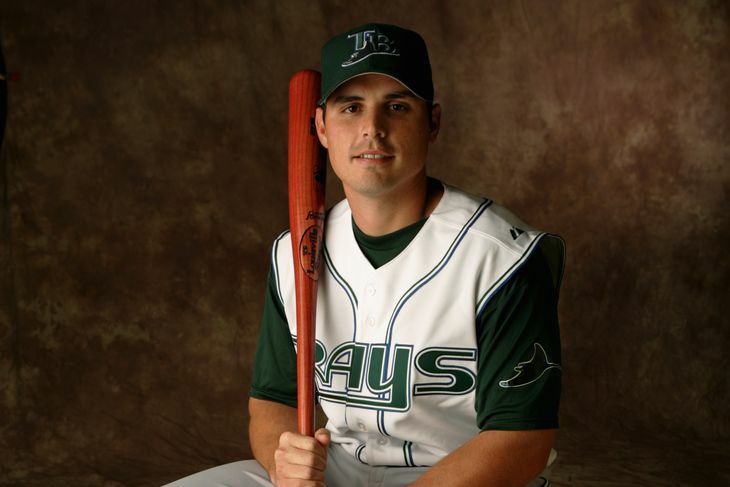 With Maddon becoming the new bench boss for the Cubs, the Rays hired former big league catcher, Kevin Cash. In Cash, the Rays are hoping they have found a manager who will find similar success like other catchers turned managers such as Mike Scioscia, Mike Matheny and Brad Ausmus to name a few. Cash, who will be the league’s youngest manager at 37, gets praise for his high baseball IQ and natural leadership ability. He’ll need both as he attempts to turn the Rays back into a contender. Mid-season return of Matt Moore to the starting rotation. Rays-Red Sox being the new “MUST WATCH” rivalry. The makings of a sneaky good bullpen. The potential for a Grant Balfour freak out. The Wil Myers trade: Nothing against Steven Souza, who will probably be a decent little ballplayer, or Burch Smith, who may stick in the bigs as a reliever or spot starter, but the two of them don’t even come close to adding up to the player that Wil Myers is. 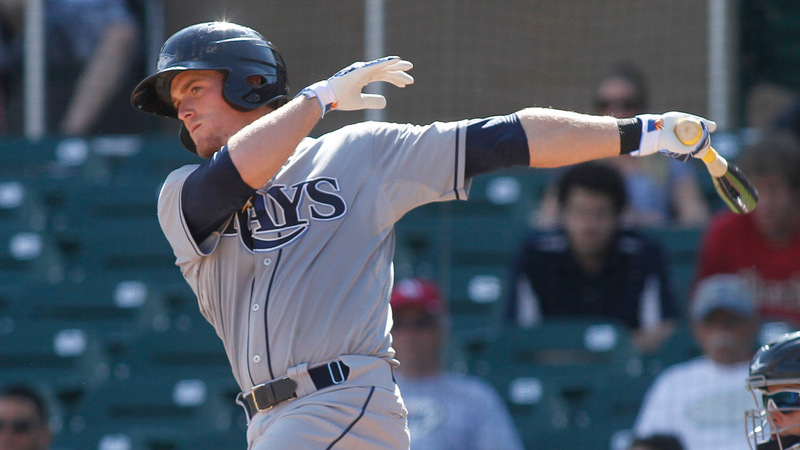 Myers, who won the AL Rookie of the Year in 2013, was shipped off to San Diego as part of a three way deal that saw the Rays land the aforementioned Souza and Smith. The trade came on the heels of Myers abysmal sophomore season (.222/6/35 in 325 AB compared to .293/13/53 in 335 AB in 2013); one in which he was hampered by a wrist injury. 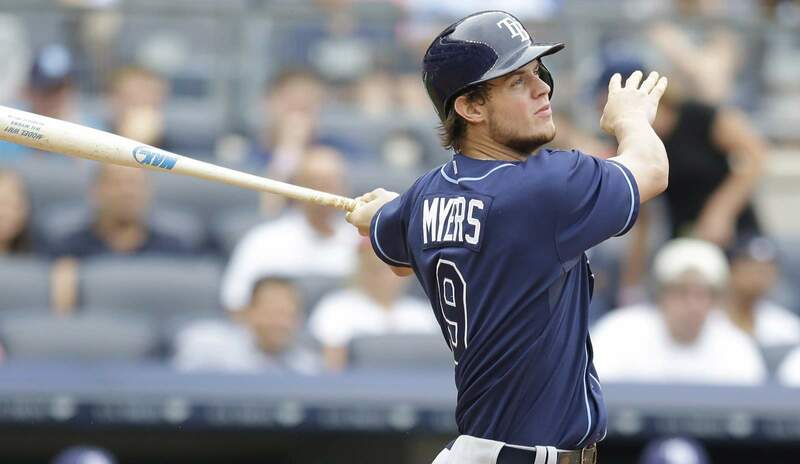 Two years removed from being the “winners” in the James Shields/Wil Myers trade, the Rays have flipped Myers for a return that is (almost) significantly less than what the Royals got for Myers in the first place. 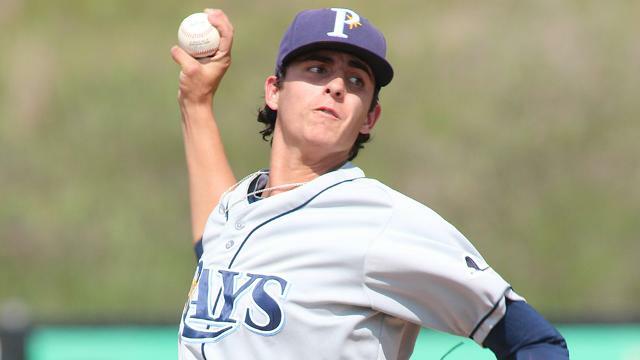 Isn’t it just a little odd that the Rays were so willing to give up on a 24 year old with what seems like an unlimited ceiling, just because he had one bad season; perhaps even the first bad stretch of baseball he has ever played in his life? At least Myers was able to see the humour in it all as he tweeted out, “Probably safe to say Padres are the final winner in the Shields trade. Should be an exciting year in San Diego!” this of course coming after the Padres inked the free agent Shields to a 4 yr/$75 million dollar deal. 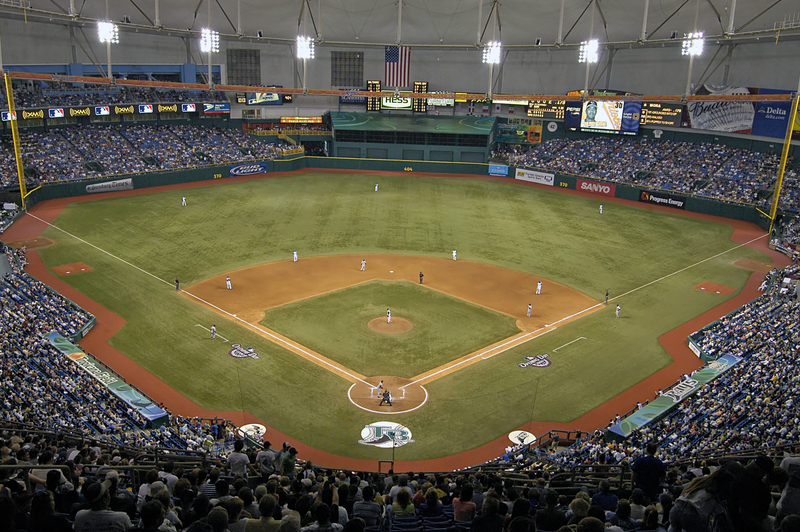 Everything to do with the Trop: If baseball is a religion, then baseball parks are its cathedral(s). They are meant to be warm, inviting and intimate. There is ABSOLUTELY NOTHING warm, inviting or intimate about Tropicana Field. 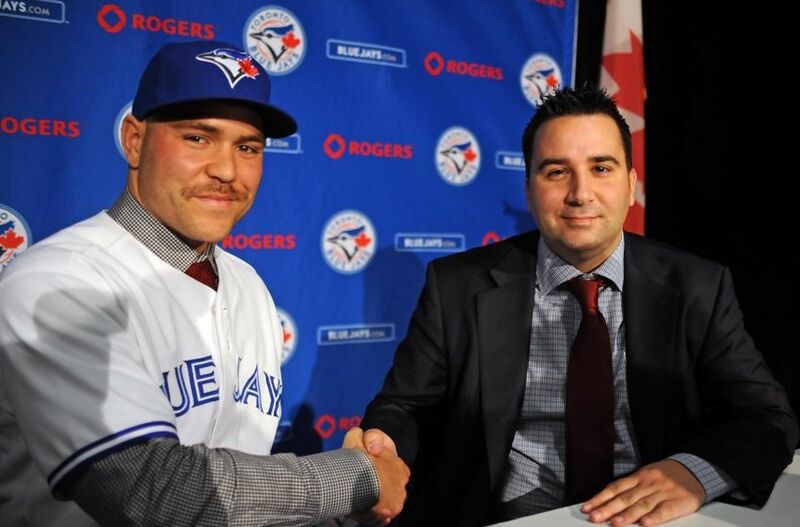 In all honesty, it has the intimacy of a World War II bunker (Skydome/Rogers Centre isn’t much better). The Trop takes you back to the days of Astroturf, concrete soulless stadiums and V-Neck jerseys, aka the 70’s. Amazingly, despite having a roof to prevent delays from weather, the Trop still suffers from power outage delays related to the weather per year. Oh, and then there are the infamous catwalks that hang from the ceiling and play God with fly balls and tall HR’s. There hasn’t been a roof that turns more fly ball outs into misplayed adventures since the old Hubert H. Humphrey Metrodome in Minneapolis. Even televised games from the Trop look dingy and faded, similar to televised hockey games from the Nassau Coliseum on Long Island. Seriously, where are the runs going to come from? Potential contender to finish at the bottom of every power category. Depleted farm system, especially in the starting pitching category. The loss of one of baseball’s brightest minds, Andrew Friedman, from the front office. 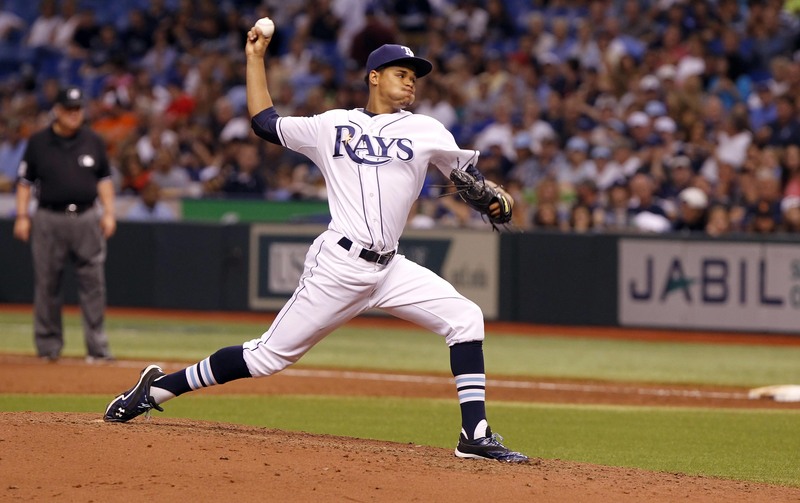 Player to Watch: SP Chris Archer. As mentioned above, Archer is entering both his 27th year and his 3rd full MLB season. He is also blessed with an exceptional arsenal of pitches and no shortage of confidence, as demonstrated by his dustup with Big Papi last season. Last season, Archer went 10-9 with a 3.33 ERA in 32 starts; he also struck out 100 (173) more batters than he walked (73) over 194.2 innings. There is no reason not to think that Archer will not only match, but pass his numbers from last season. A 15+ win is definitely not out of the question. Honourable Mention(s): Drew Smyly and Steven Souza Jr.
Bulletproof Bullpen: For the second time in as many years, the Yankees will be turning the ball over in the 9th inning to a new face. With Mariano Rivera retiring two seasons ago and David Robertson now closing games for the Chi Sox, the Yankees may be imploring a closer by committee for the upcoming season. Usually teams who lack a definitive closer turn to a closer by committee in the hopes of finding one reliable arm to whom they can trust. This is not the case with the Yankees. The back end of the Yankees bullpen is (perhaps) their biggest area of strength heading into the season. 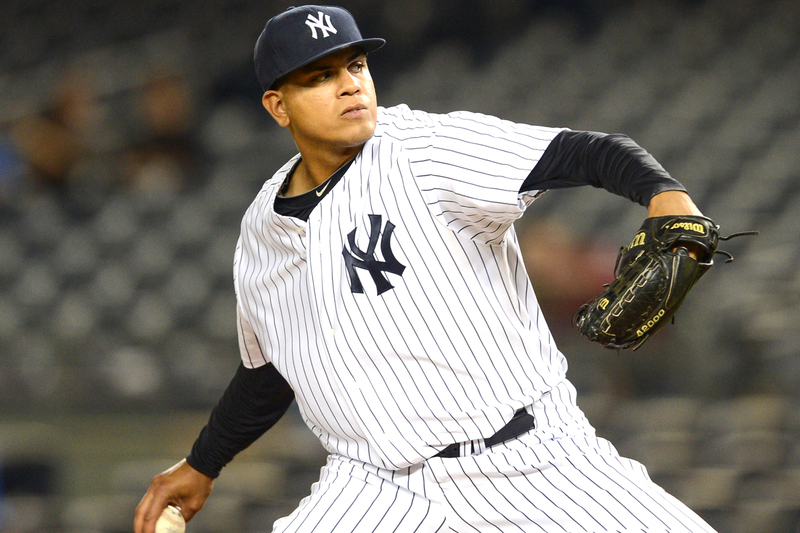 The imposing 6’8, 260lb, figure that is Dellin Betances, was an absolute revelation in relief for the Yankees in 2014. 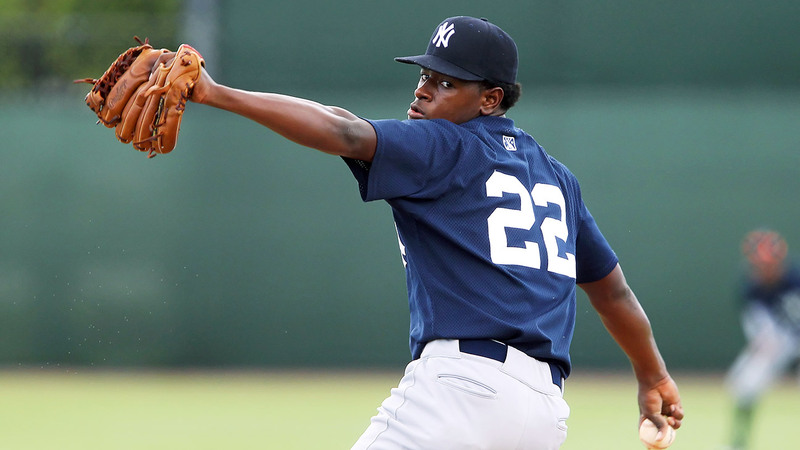 The former starting pitching prospect used a wicked combination of a 96+ fastball, and an absolutely devastating knuckle curveball, to strikeout 135 batters in 70 appearances; spread out over 90 innings of work. In addition to Betances and his filthy arsenal, the Yankees brought in left handed specialist, Andrew Miller, on a 4 year deal. 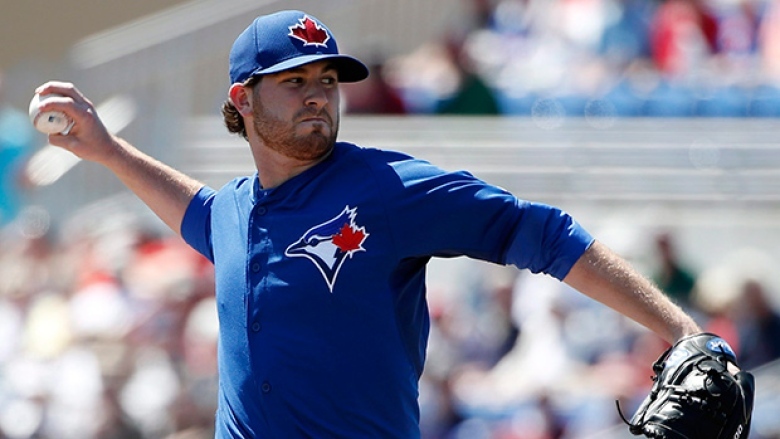 Miller, another former starter, looks to have found his niche as a premier set up man and was one of the highly sought after relief pitchers available in the offseason. Miller, who split time between Boston and Baltimore in 2014, pitched in 73 contests and struck out 103 batters over 62.1 innings. As of right now, instead of handing the ball to just one guy to close the door in the 9th, it looks like Joe Girardi has the luxury of being able to turn to either one of Miller or Betances; depending on who is standing in the batter’s box. The Yankees ‘pen is rounded out by Adam Warren, David Carpenter, Justin Wilson, Chasen Shreve and long man/spot starter, Esmil Rogers. Nathan Eovaldi’s fastball – 4th highest average speed in 2014 at 95.5 mph. The movement on Masahiro Tanaka’s filthy split-fingered fastball. 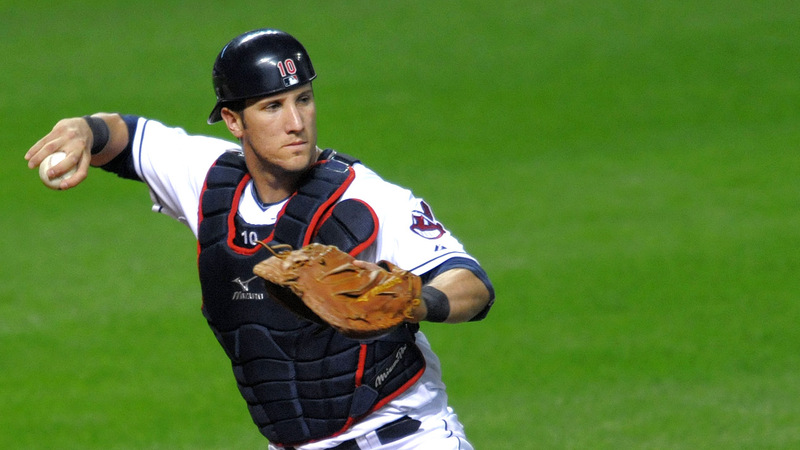 Brett Gardener’s blue collared work ethic in LF. 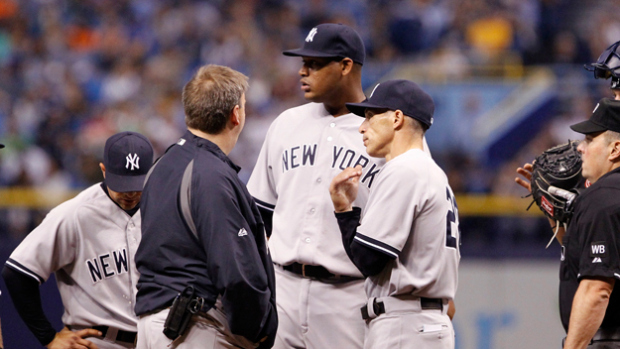 Paper Mache Durability Concerns: Tanaka’s UCL, C.C’s knees, Pineda’s shoulder, Tex’s wrist, Beltran’s elbow… and these are just a few of the injury highlights that plagued the Yankees in 2014. Do we seriously believe that none of these will flare up/worsen in 2015? What about Jacoby Ellsbury? For someone whose durability was a concern heading into 2014, he managed to play in the most games (149) since 2011. 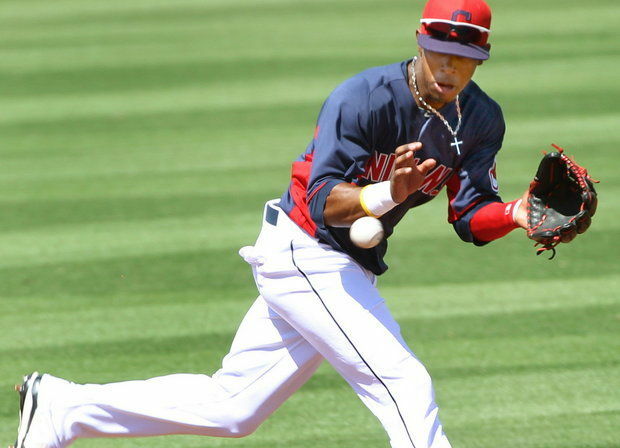 Still, this is a guy who has had chronic rib and shoulder injuries throughout his career, and his aggressive style of play leaves him one slide or diving catch away from re-aggravating those injuries. What are the odds he plays in 130+ games this season? We still haven’t mentioned Chase Headley’s knees or even the return of the near 40 year old A-Rod. Can we expect full seasons from them? These are merely speculations but it is hard not to factor in injury/health concerns, especially on an aging roster, when it comes down to predicting where teams will finish come October. Speculations aside, I strongly believe that if any team is susceptible to breaking down from wear and tear over the course of a 162 game season, the Yankees have to be at, or near the top of that list. The Return of a Villain: If last season was about writing the final chapter in the Derek Jeter fairytale, than this season will be about writing the next column in the tabloid magazine that has become Alex Rodriguez’s career. Lost in the shuffle that was the never ending farewell tour that marked Derek Jeter’s last season, was the blessing in disguise that was Alex Rodriguez’s season long suspension. That will not be the case this year. There is no feel good story, final farewell or well deserved suspension to keep A-Rod off the field and out of the headlines this season. To simply put it: Alex Rodriguez is a heel; he is the kind of guy that (almost) EVERYONE roots against. Hell, even his own team can’t stand him. He has been the best villain in baseball since Roger Clemens and Barry Bonds hung up their needles… err… I mean cleats. Kind of sad to see a guy who was on the path to being one of the all time greats, slowly fading toward the Jose Canseco realm of clown shoes. Having what might be the oldest roster and being compared to the current Phillies. Rotating 1B/DH duties between Tex, A-Rod, Beltran and Garrett Jones. 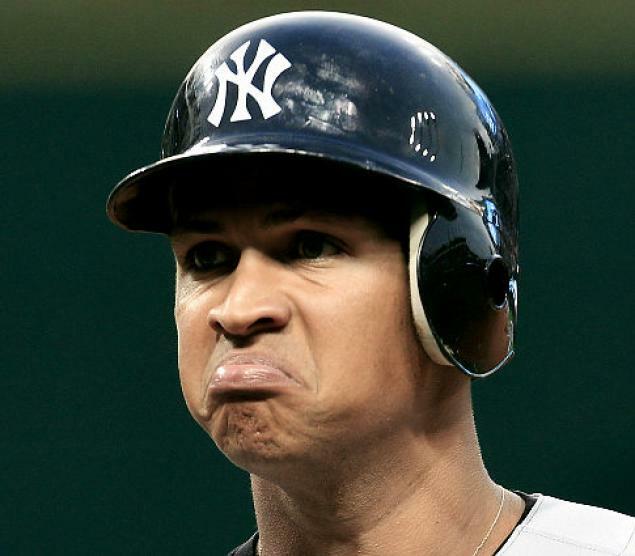 Having to hear “SEE YA” and “AN A-BOMB FROM A-ROD” during Yankees telecasts. Player to Watch: SP Nathan Eovaldi. The former Marlins starter was acquired by the Yankees, along with Garrett Jones, in exchange for Martin Prado and David Phelps, this past offseason. 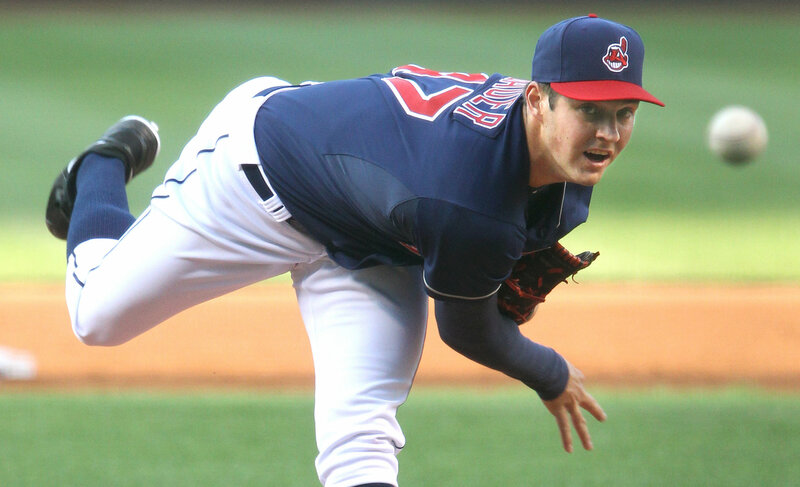 Although his overall numbers don’t jump off the page (6-14 · 4.37 ERA · 1.33 WHIP), what does jump off the page is his 95.5mph average fastball; good for 4th overall in the MLB in 2014. 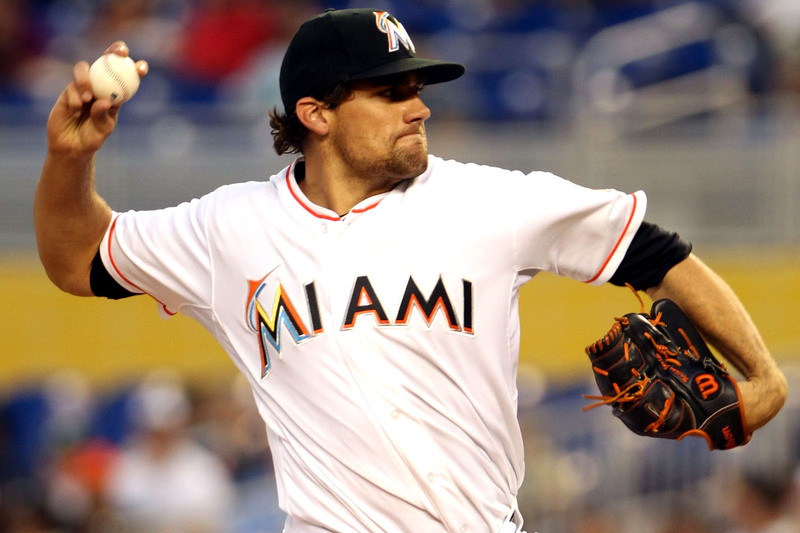 Wins, losses and earned runs aside, Eovaldi did make 33 starts for the Marlins, where he managed to strikeout 142 batters over 199.2 innings. What Eovaldi really brings to the Yankees is depth for their rotation and they will need it considering the past injury history of Tanaka, Sabathia and Pineda; as well as the aging of Chris Capuano.